How to uninstall Microsoft Security Essentials? 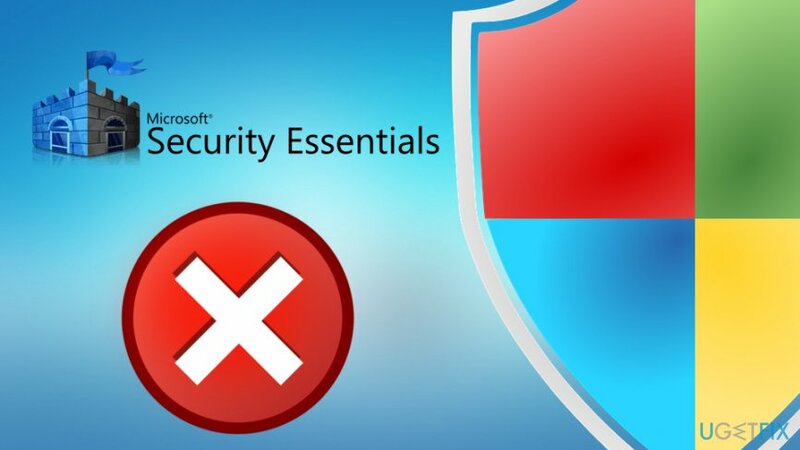 Home »	Uninstall » How to uninstall Microsoft Security Essentials? Issue: How to uninstall Microsoft Security Essentials? Hello. Every time I boot my Windows 10 PC I get an error message about Microsoft Security Essentials. I thought that re-installing the program might fix the problem, so I tried doing that. However, I could not do it manually as I do with other programs. Please help as this error is really annoying! 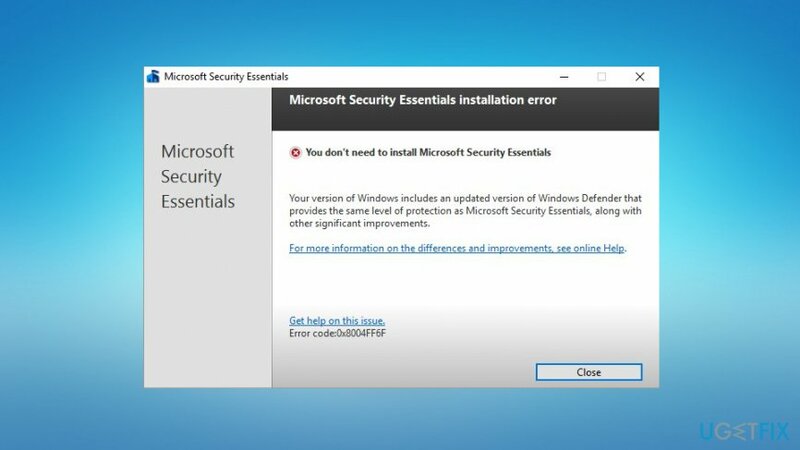 Users typically encounter problems removing Microsoft Security Essentials after they upgrade to Windows 10 from a previous version. Microsoft stated that after upgrading to the newest Windows version, Microsoft Security Essentials should automatically uninstall itself. Windows 10 sometimes freaks out because, initially, Microsoft Security Essentials and Windows Defender are same tools. Thus, none of them end up working, and users are left with the only option – uninstalling Microsoft Security Essentials themselves. You don’t need to install Microsoft Security Essentials. Additionally, some users report that they cannot find the application in the list at all. 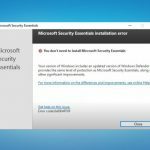 There might be another reason you are getting problems with Microsoft Security Essentials; mainly, because it is not real program from Microsoft. Recently, a fake security software appeared on world wide web called Microsoft Securoty Essentials. The bogus anti-virus program is a virus and should be removed ASAP. To make sure your computer is not infected with other malware, we highly suggest scanning it with Reimage. All in all, we compiled a list of solutions for Microsoft Security Essentials removal problems, so keep on reading. Follow on-screen instructions and install the program. 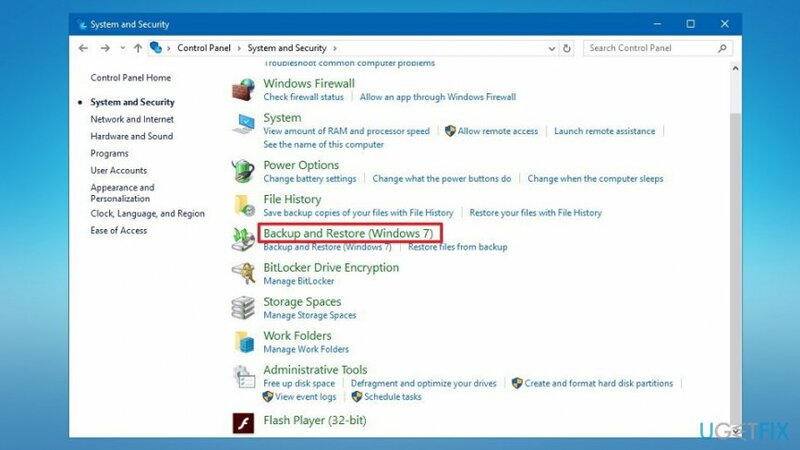 Next, click Start backup button. This action should launch MSE uninstaller. Merely click Uninstall and you are done! ^ Linas Kiguolis. Microsoft Securoty Essentials. How to remove? (Uninstall guide). 2-spyware. Spyware and security news. ^ Malware. Tech Terms. The Tech Terms Computer Dictionary. ^ Tim Fisher. What Is a Registry Key?. Lifewire. Tech Untangled. ^ Tim Fisher. 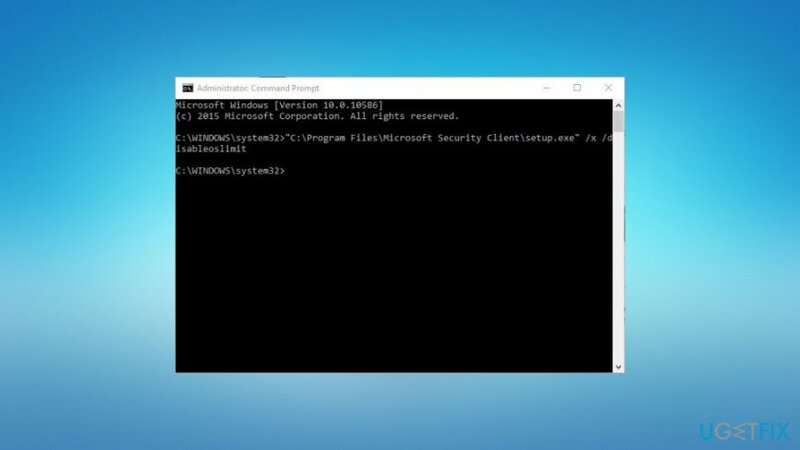 Command Prompt: What It Is and How to Use It. Lifewire. Tech Untangled.